Under $1.75 per serving. Your kids won't believe what's for dinner tonight. 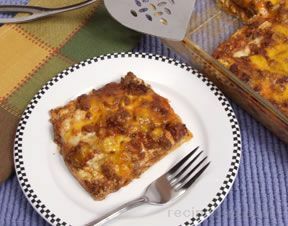 Two of their favorites, sloppy joes and pizza, combined into one dish. 1. Preheat oven to 425° F. Brown ground beef in large skillet on medium-high heat. Drain fat. Stir in Seasoning Mix, tomato paste and water. Bring to boil. Reduce heat to low; simmer 10 minutes, stirring occasionally. Stir in corn. 2. Place pizza crust on baking sheet. Spoon beef mixture over top. Sprinkle with cheese. 3. Bake 12 to 15 minutes or until cheese is melted. Sprinkle with green onions, if desired.Taco Pizza: Prepare as directed. 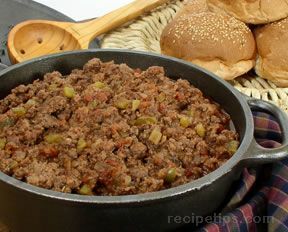 Substitute McCormickÂ® Taco Seasoning Mix for the Sloppy Joes Seasoning Mix and use shredded Mexican blend cheese. Chili Pizza: Prepare as directed. 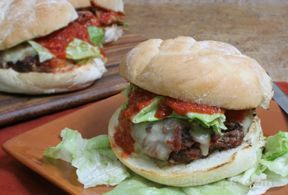 Substitute McCormickÂ® Chili Seasoning Mix for the Sloppy Joes Seasoning Mix and use shredded Cheddar cheese.